Cost: $100 one time fee + Free Shipping (taxes apply to CA).  What’s in the box: A special curation with a theme that stretches across fashion and beauty, perfect for the fall season. 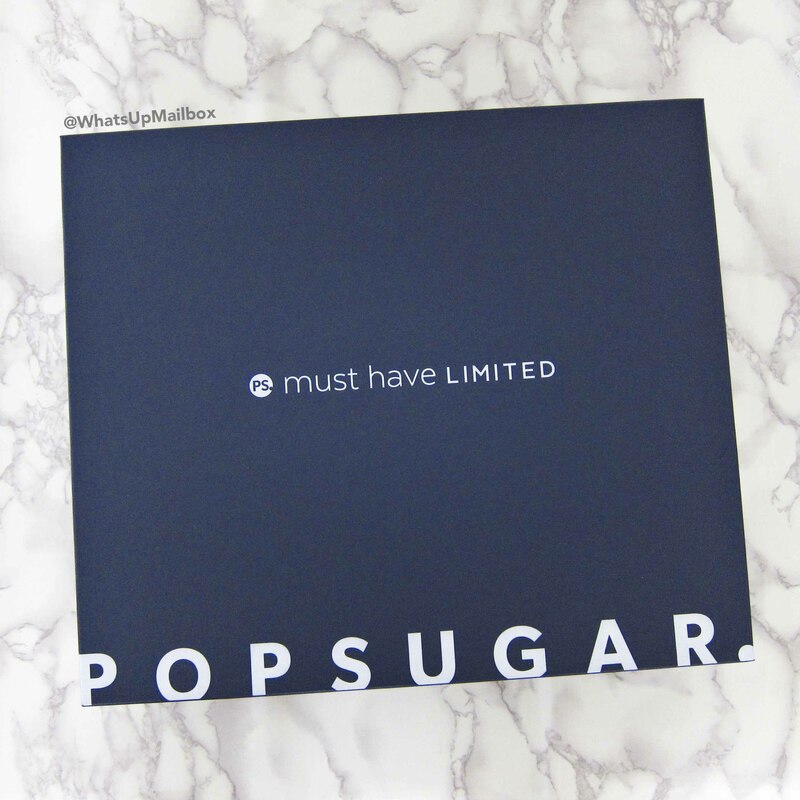 I love it when the time comes for Popsugar’s Limited Edition box to come out every season. 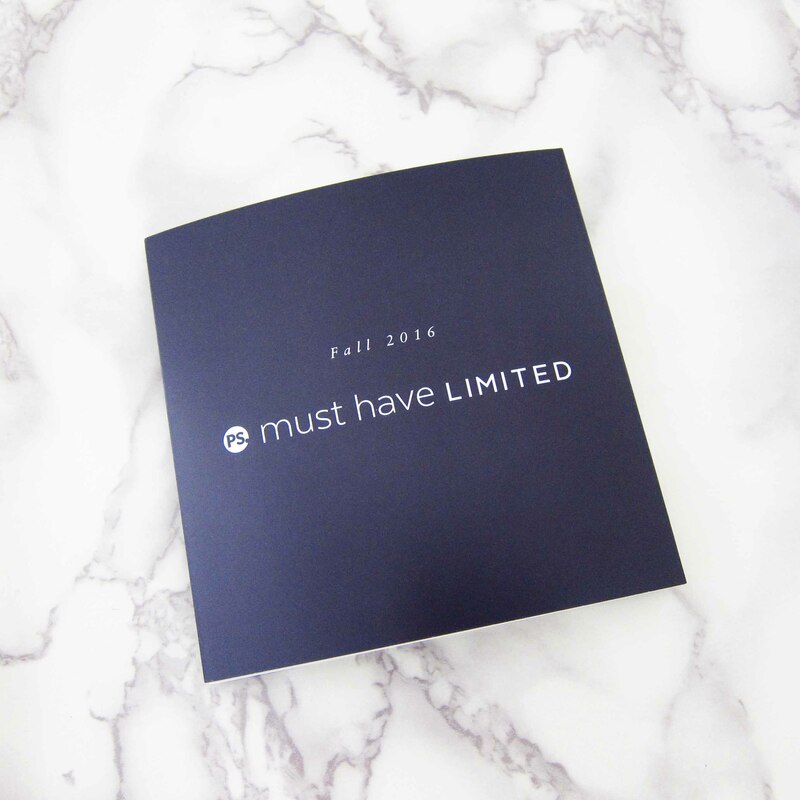 Fall is one of my personal favorites so I was super excited when it finally arrived on my doorstep! 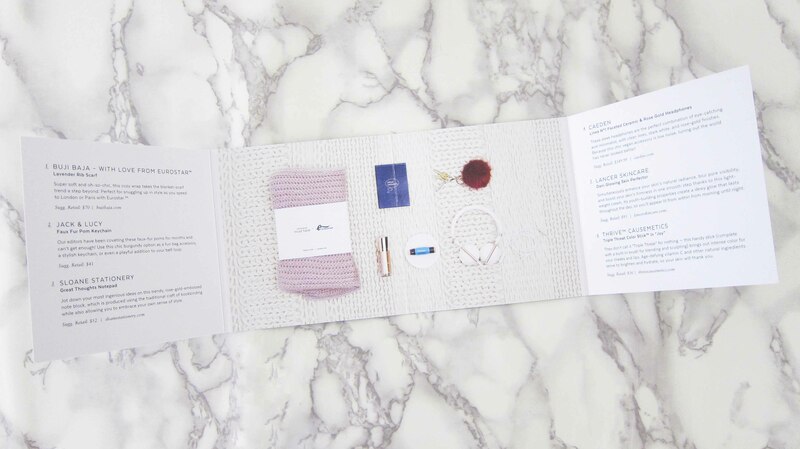 The fold out info card that they include details the items inside the box as well as their values. This was revealed to be in the box so I knew I was getting this even before I received it. 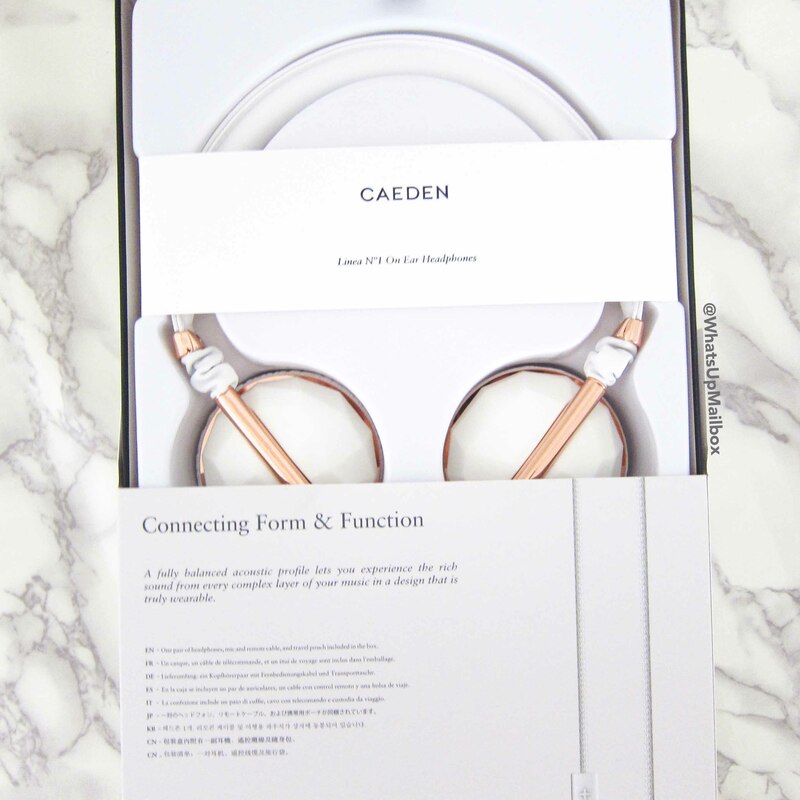 I was excited when I saw that I’ll be getting these pretty headphones, and now I’m more excited to finally use it! The sound on these headphones are quality, especially for its price. 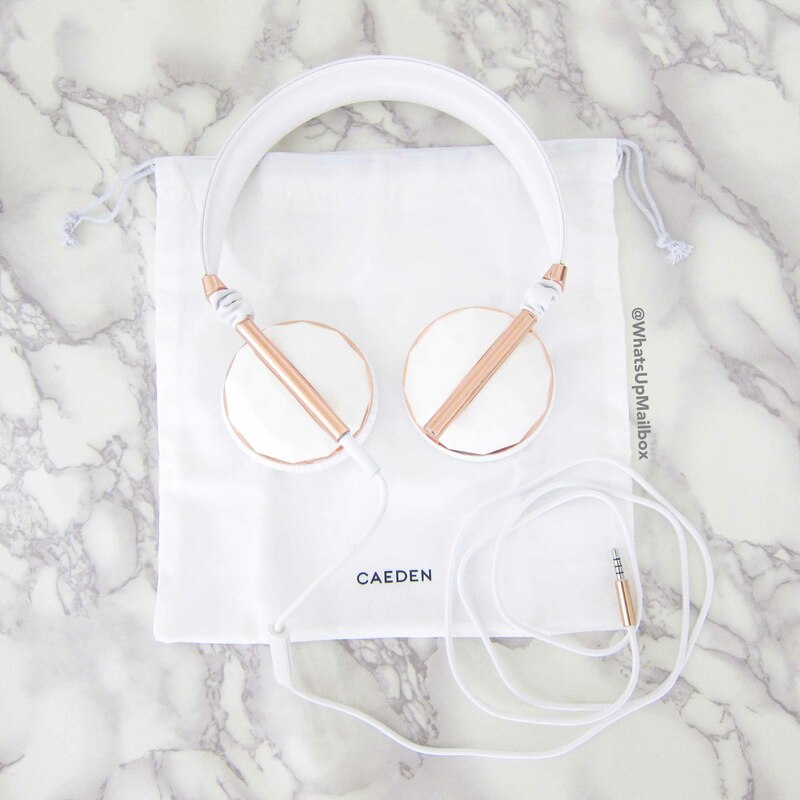 The white and rose gold screams feminine beauty and class, it totally fits my style. There’s also buttons to control the volume and track, as well as a mic so you can use this to make or receive calls. One thing that I was surprised with is how soft the headreset was. I wore it for quite some time while working and I didn’t feel any pressure or pain. The manual that came with these headphones consisted of pictures and legends. It’s pretty straightforward but for some reason, they failed to mention which end plugs into the headphones and which end plugs into your phone. Of course by simply trying to insert it you’ll find out which one it is, but I thought it should at least be stated in the manual. FYI, the end that has the rose gold goes to your phone, just like my picture above. 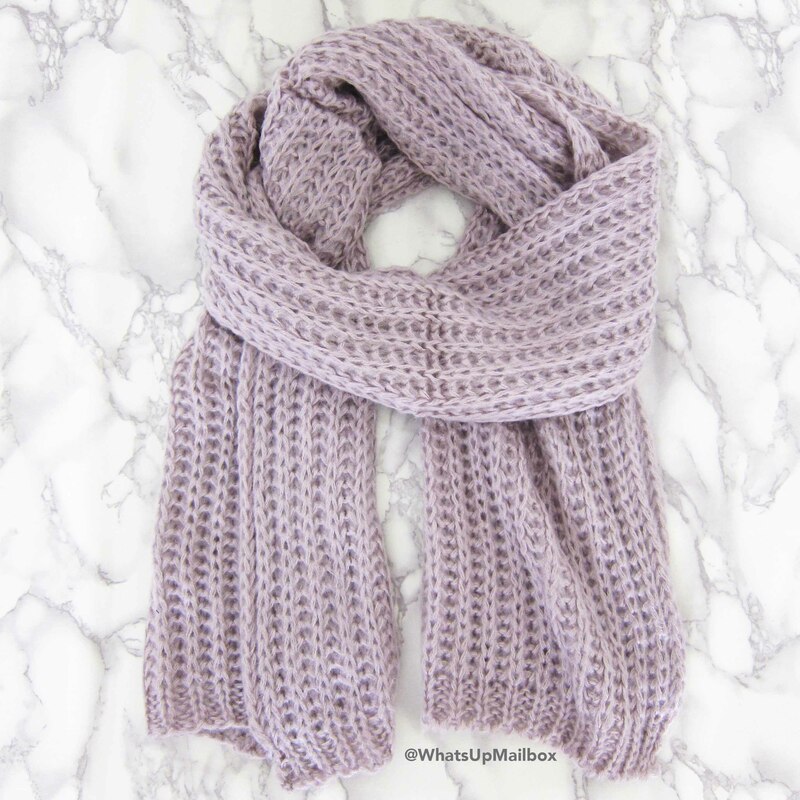 A scarf is definitely appropriate to include for the Fall season so I wasn’t surprised to see that they included this, especially since they tend to include scarves for their Fall or Winter boxes. 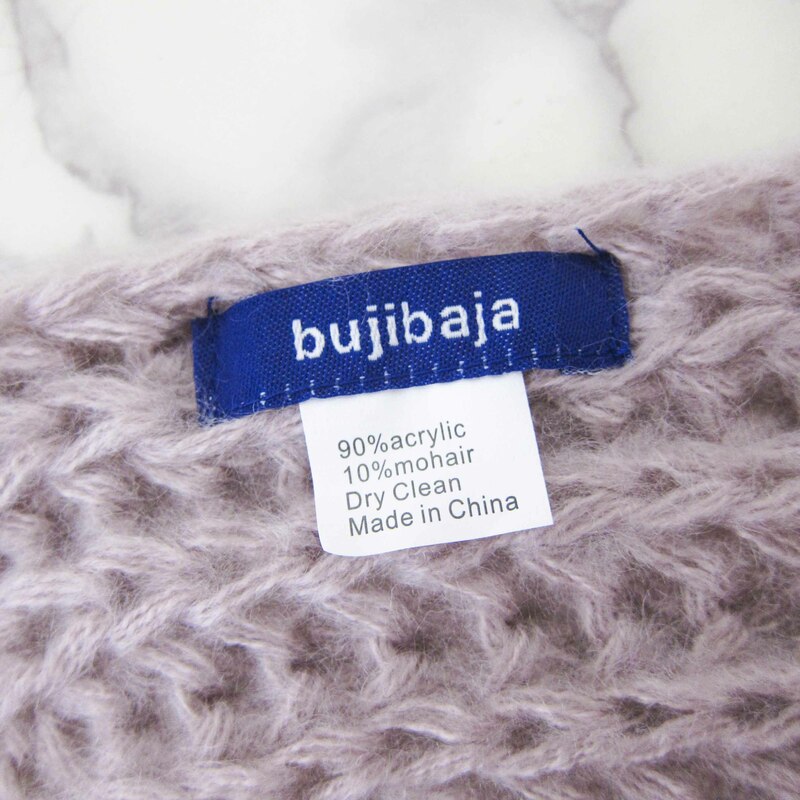 This scarf is made of 90% acrylic and 10% mohair. It’s soft and the length is perfect to do multiple styles of wraps. 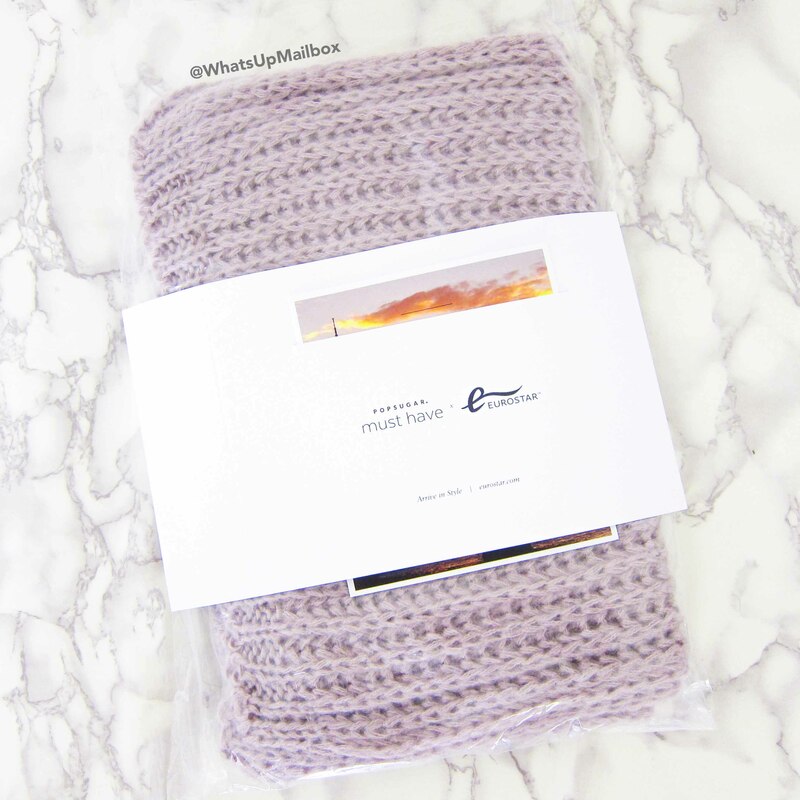 The scarf also came with a travel card that has tips on how to travel effortlessly, courtesy of EuroStar (a train service in Europe). I personally have used EuroStar for my travels in Europe and their trains are superb. Very classy and comfortable. 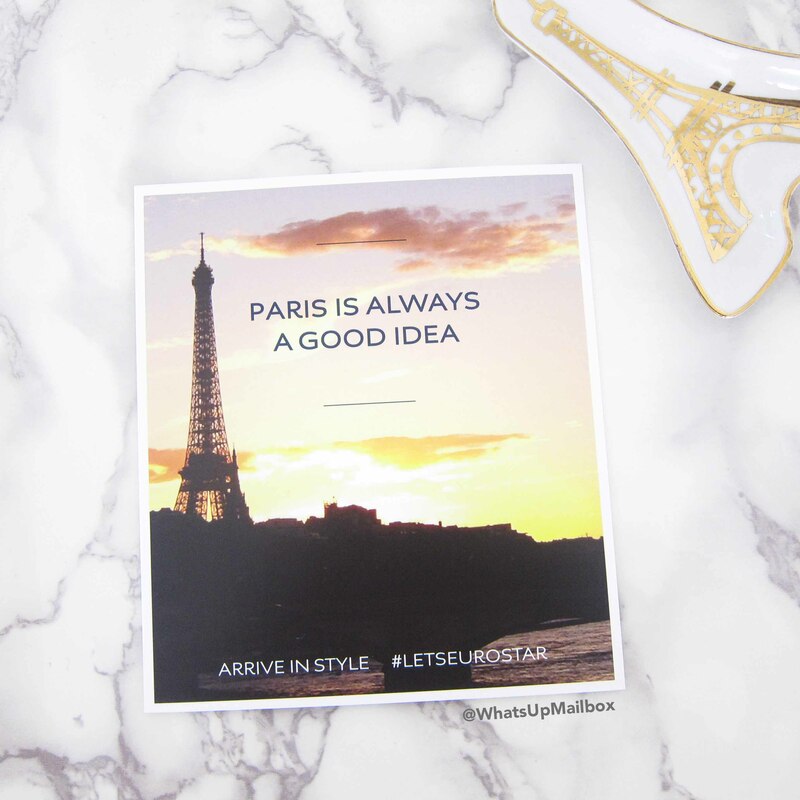 And these tips are spot on when it comes to traveling in Europe. 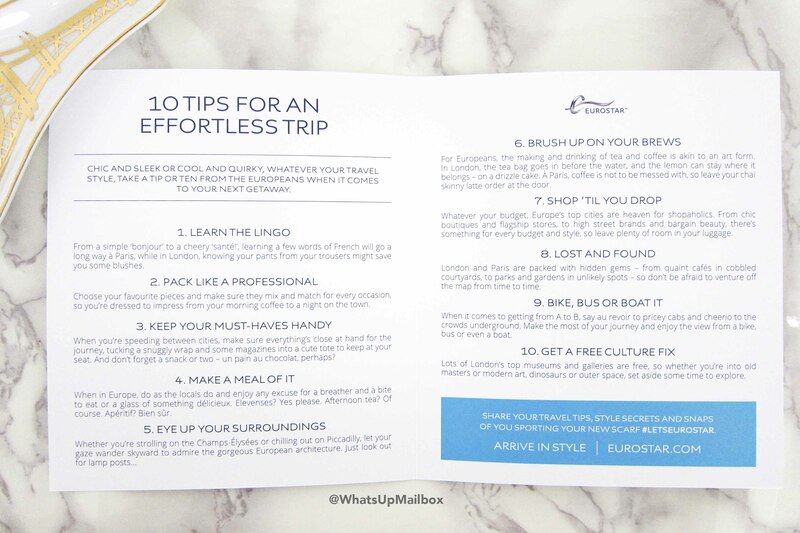 So if you’re headed there, definitely take note from these tips! I love pom keychains, I have quite a few in my collection but I don’t have red yet so I’m happy I got this! 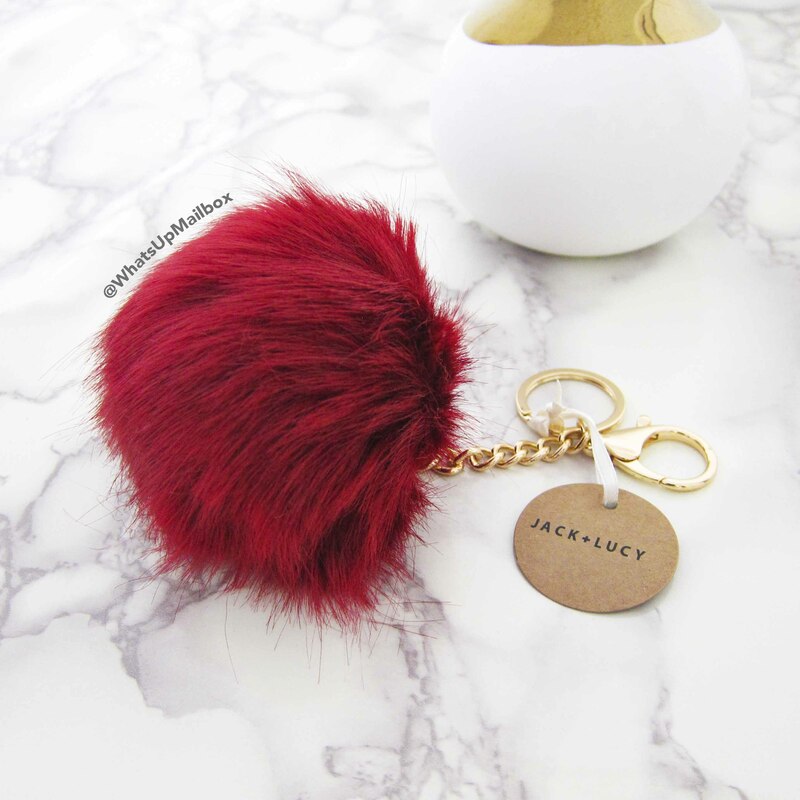 The fur is medium sized and it has both a ring to insert your keys and a clip to attach to your bag or other accessories. 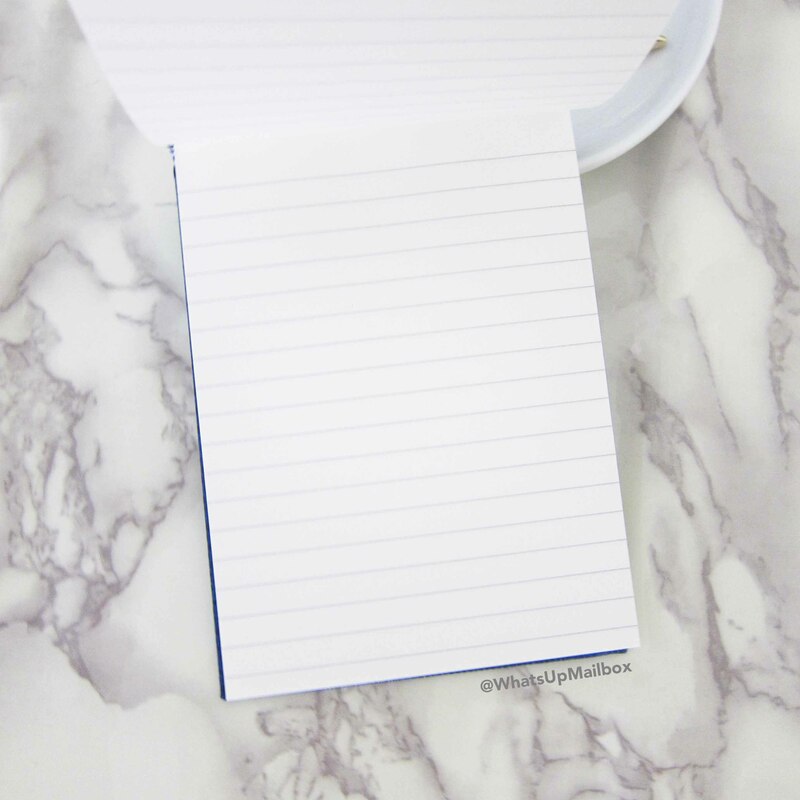 This is one expensive and luxe notepad! 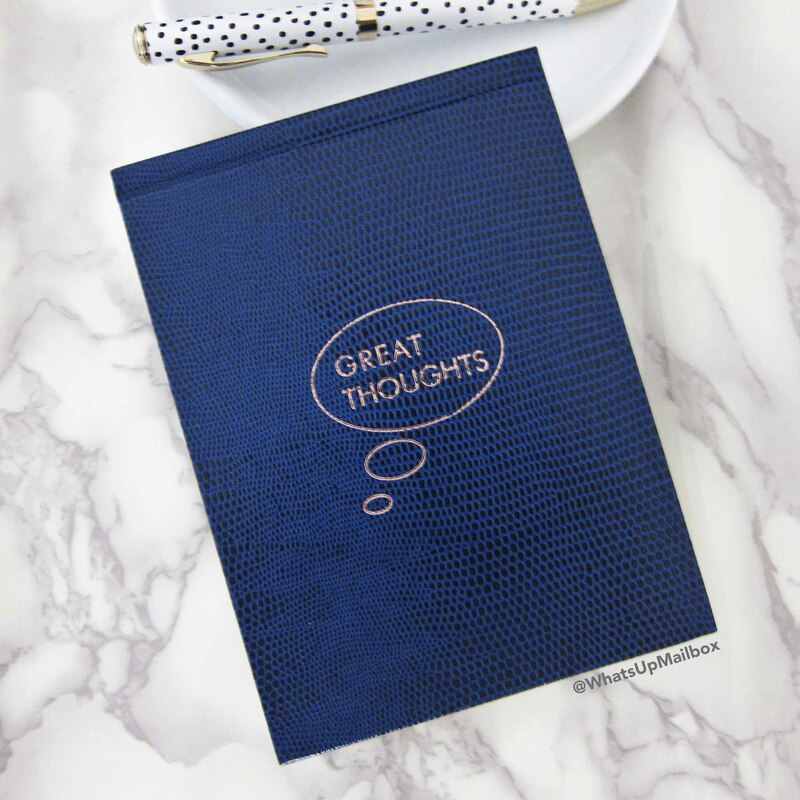 It’s handmade in England by traditionally trained craftsman with a lizard texture cover and the words “Great Thoughts” embossed in rose gold. 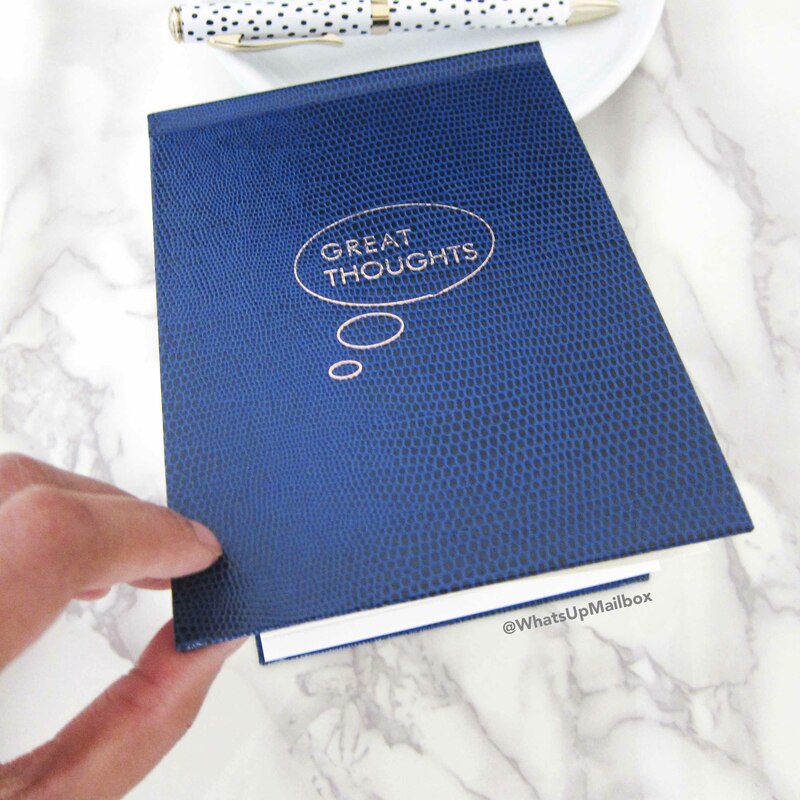 The notepad opens by lifting the cover vertically, and inside you’ll see the lined pages ready for all your great thoughts. This lightweight cream promises to enhance your skin’s natural radiance, blur pore visibility, and boost your skin’s firmness. 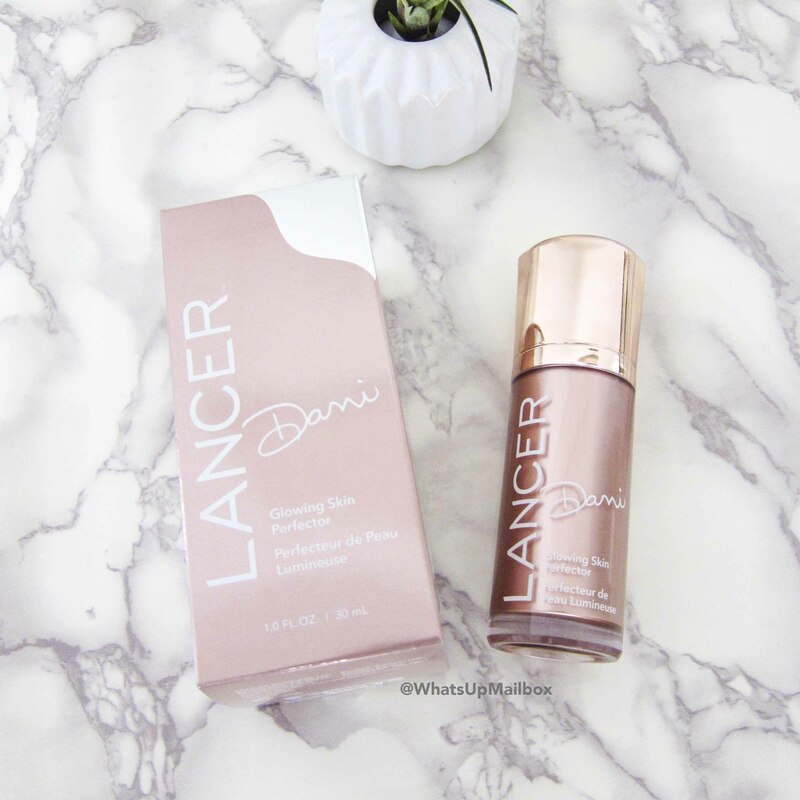 It has youth-building properties that create a natural glow that lasts all day. 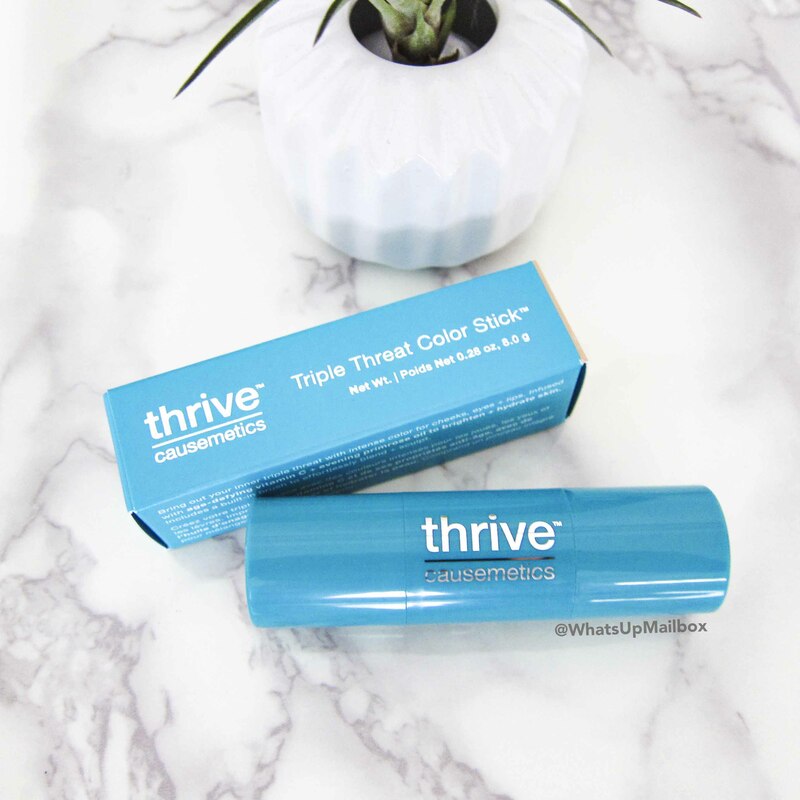 It’s called triple threat because this handy little stick serves as a blush, highlighter and lip color. One end has a built-in brush, while the other holds the product. 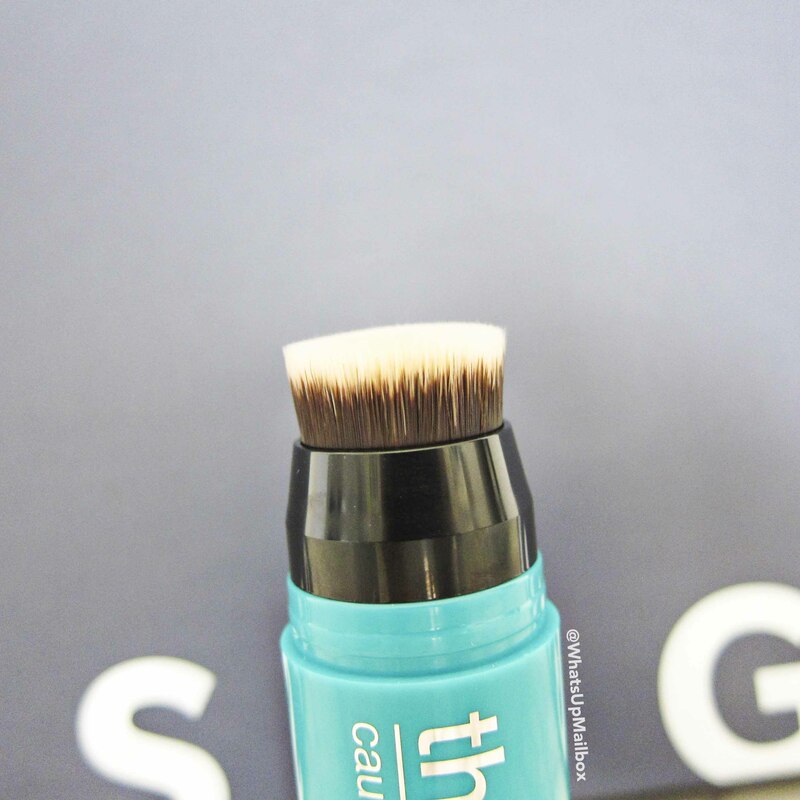 The brush comes in handy when you need to blend the color on your cheeks for that perfect glow or tint. 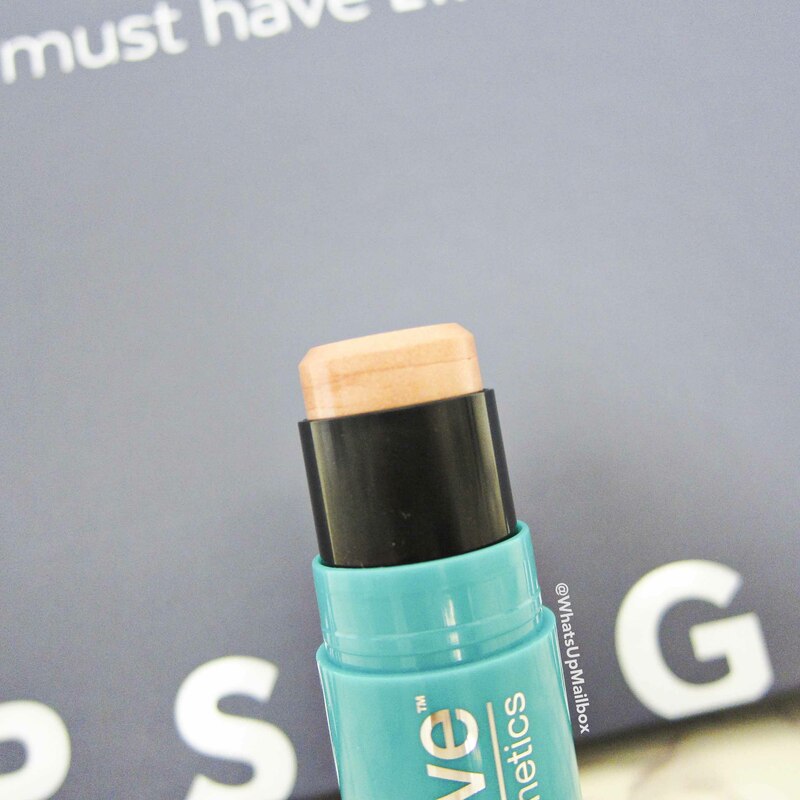 What a nifty little beauty product! My Thoughts: This box was made for me! It had the right type of products and seasonally appropriate too. 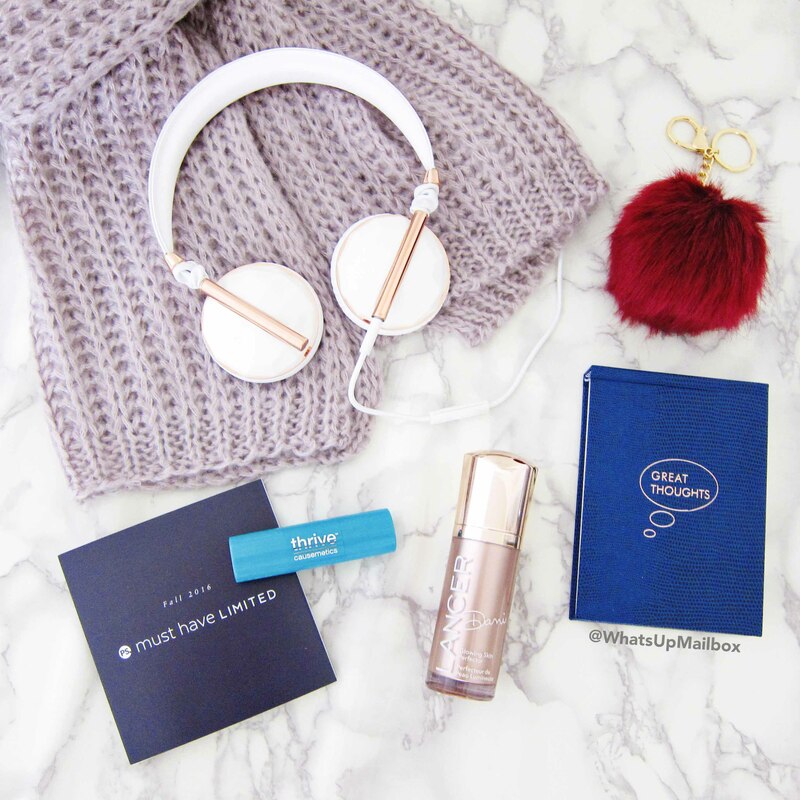 The fashion items are on-trend, and the beauty products are quality and useful. A great curation in my book! 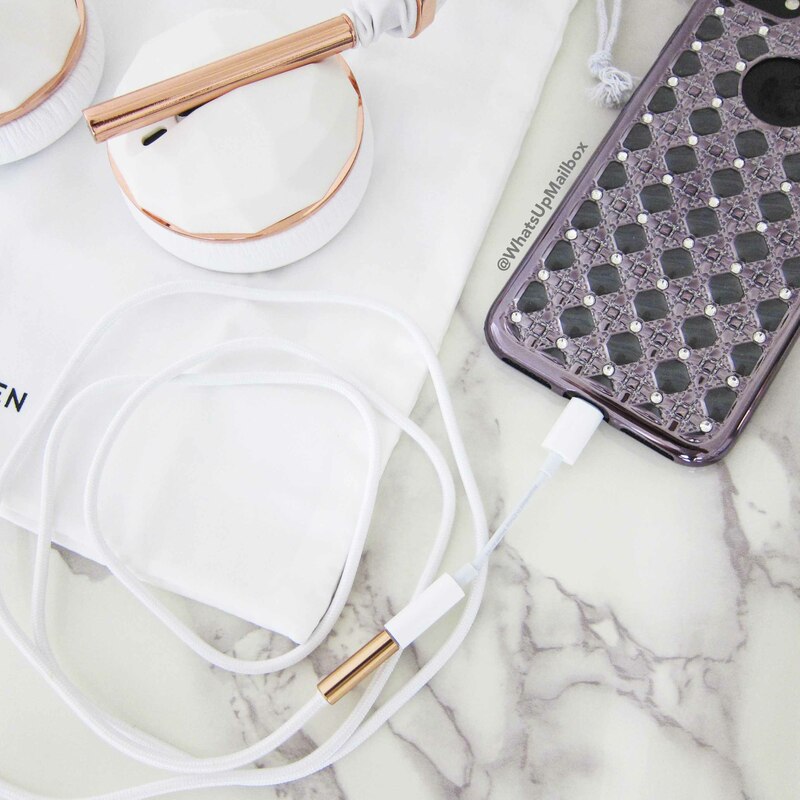 My favorite has got to be the headphones of course, it’s such a statement piece to wear that’s also functional, a combo that I need in my technological everyday life. It’s so refreshing to get a box once in awhile that totally gets you and your style, and this was definitely it! Plus the total value came to a whopping $444, that’s quadruple the cost! This has got to be one of my favorite limited edition boxes from them as of yet. Bravo Popsugar. This box is a one-time purchase and is no longer available. 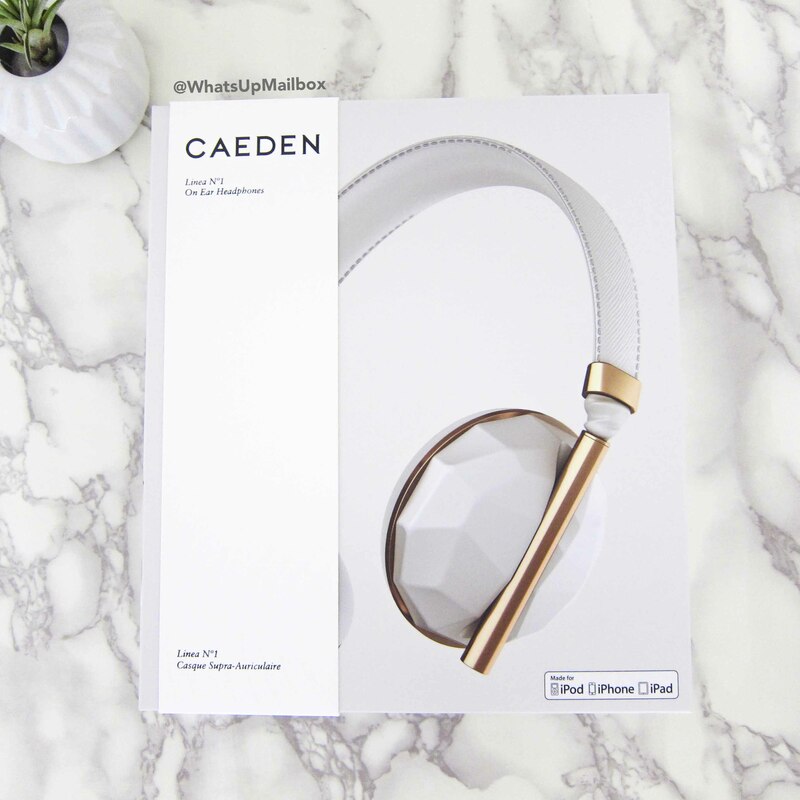 But they have their monthly boxes for $39.95 and you can subscribe here or go to their website www.musthave.popsugar.com to learn more. Don't forget to use coupon code MUSTHAVE5 to get $5 off your first box! Want more savings? 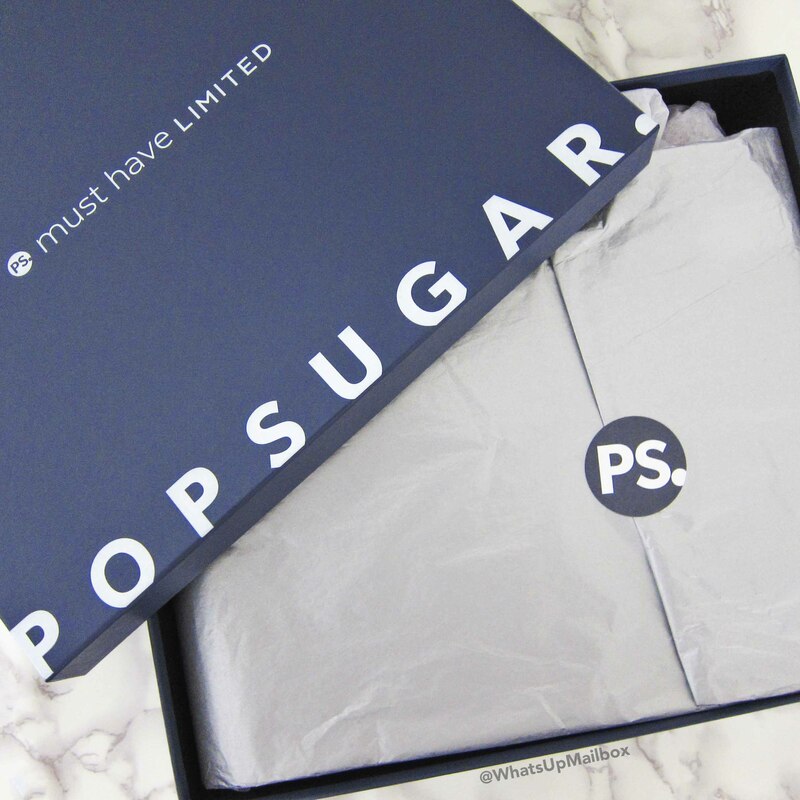 Use EBATES to get 3% cashback on any purchase at Popsugar, I always use them and get money back!